Architecture and City. 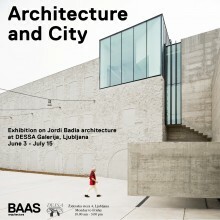 Baas arquitectura, Jordi Badia. A review by Matevž Čelik. 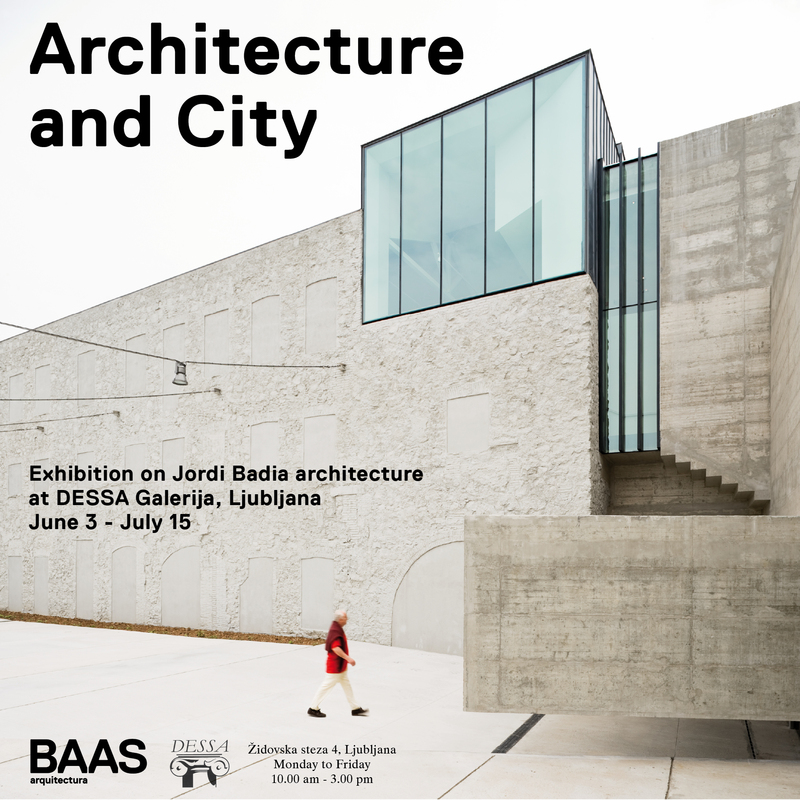 Jordi Badia’s exhibition in DESSA Gallery in Ljubljana indicates that thinking about the city as of “architecture of architectures” is still alive and strong. DESSA Gallery is definitely a good place for such a message. 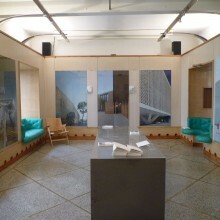 A small exhibition space has been built in an old shop in 1989, during the period of Yugoslav socialism, using volunteer labor of freelance architects, to bring more discussion on architecture to the city. 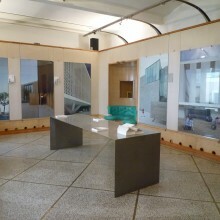 For more than two decades the gallery has been advocating contextualism in architecture. BAAS arquitectura is getting involved into this debate with its 11 projects, designed between 2001 and 2011. The majority of them are public buildings, schools, health center, a court, a museum and farewell facilities. It would probably be difficult to find an architect who does not want to build architecture alone, but build a city, or at least contribute to this collective work. 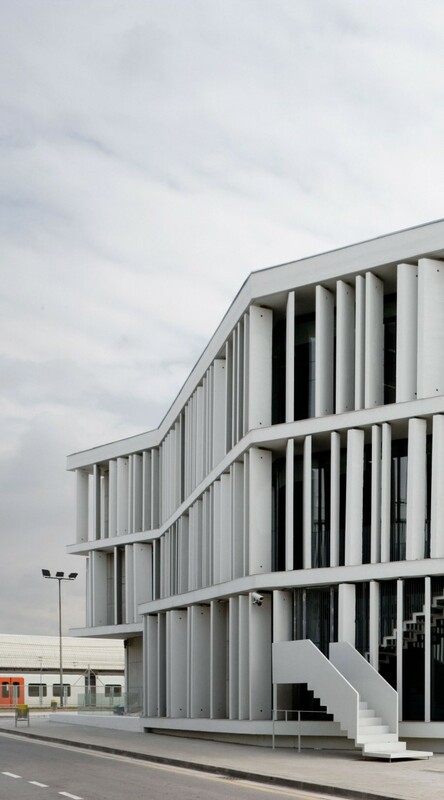 Action to create the city through architecture has always been high on the list of values advocated by architects. But we have seen in the past that the city can be built in different ways. The question is, of course, what kind of city are we talking about and how architects understand it. 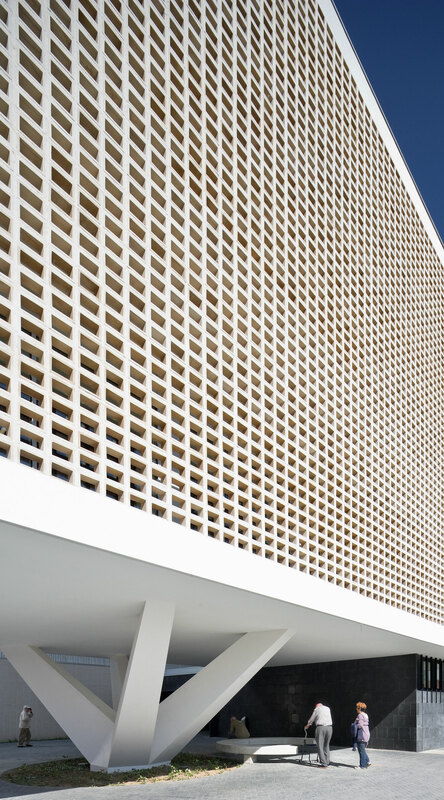 Badia’s city is social space, which operates as a system of buildings and open spaces. Its architecture complements something that exists from the past and therefore is already known. However, by complementing he aims to create completely new spaces, which are expected to provide significant opportunities for the city. This is perhaps most evident in the project for a new public square in Palamos, where public space is defined by a wall that connects new buildings with courtyards and defines the transition to the existing streets. As Badia writes in the introductory text to the exhibition, the quality of urban public space largely depends on the unity of the structure, into which individual buildings are fused. However, this should not be understood as a simplified uniformity or homogeneity of the similar components. It is primarily about the firm interconnection of the components. In this respect, the Badia’s architecture highlights the importance of clear hierarchies to help managing the diverse architectures to integrate into unified structure. In doing so, he plays with the opposites. 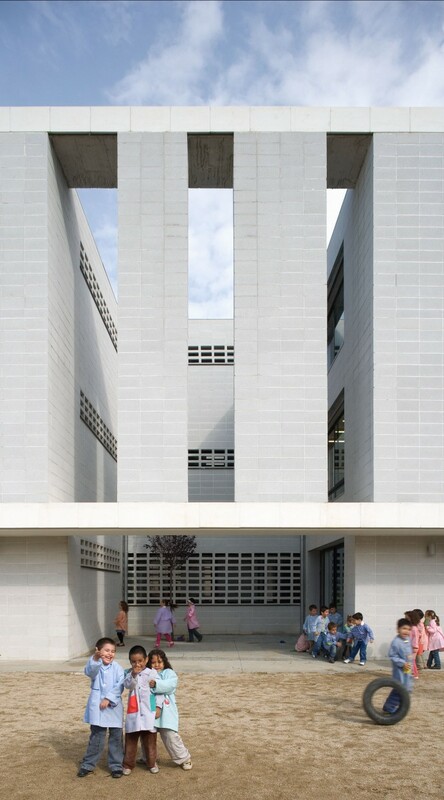 In the court in Sant Boi de Llobregat judicial offices are placed in three blocks above the premises for interrogation on the ground floor. 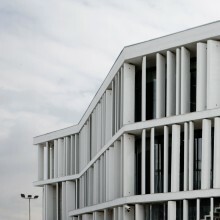 The latter are accessible to the public square, while the offices are connected with the courtyards on the first floor. 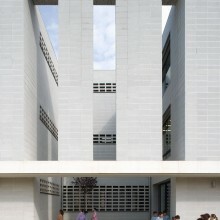 Progrés-Raval Medical center in Badalona opens to a large new square, but we come into it through a smaller courtyard. 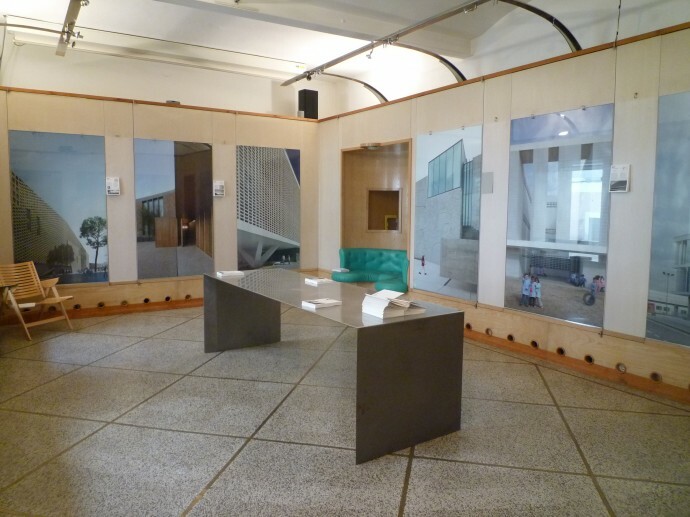 Perhaps a project for the Museum Can Framis in Barcelona is the best example that illustrates Jordi Badia’s art of creating different levels of spaces and their various meanings. The old factory buildings are oriented in accordance with the former agricultural plot boundaries in Poble Nou. Today, incorporated into Cerdà’s Eixample the structure of old factory constitutes disorder, which Badia skillfully used as an opportunity. We approach the structure through a wall of greenery. Before entering the building, we cross the pleasant semi-enclosed, quiet and intimate courtyard formed by the new concrete block and the old industrial buildings. It is semi-public spaces, such as those in front of The Can Framis museum, that are especially important in the hierarchy of spaces. They create betweenness of open space, which makes it public yet intimate, personal and familiar. They form a friendly transition into the public space and the city. Or the other way round. 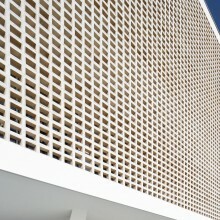 In cemetery facilities in Leon and Terassa the passage through space completes with views of nature. Badia’s architecture shows particular sensitivity to this passages, even in private houses where the rooms flow from the yard through the house to the porch and the garden. This is the way in which spaces talk about themselves through their position within the broader system, or because of the contradictions between them. Badia’s city is a structure within which projects are causally conditioned and connected in a hierarchical pattern of buildings and open spaces. Integration of new and existing spaces maintains the city vital and at the same time accumulates its narrative power. This is not just a topic for Ljubljana, but for each city, which wonders how to keep a variety of tracks in the space, and in this way to build its social and historical continuity. 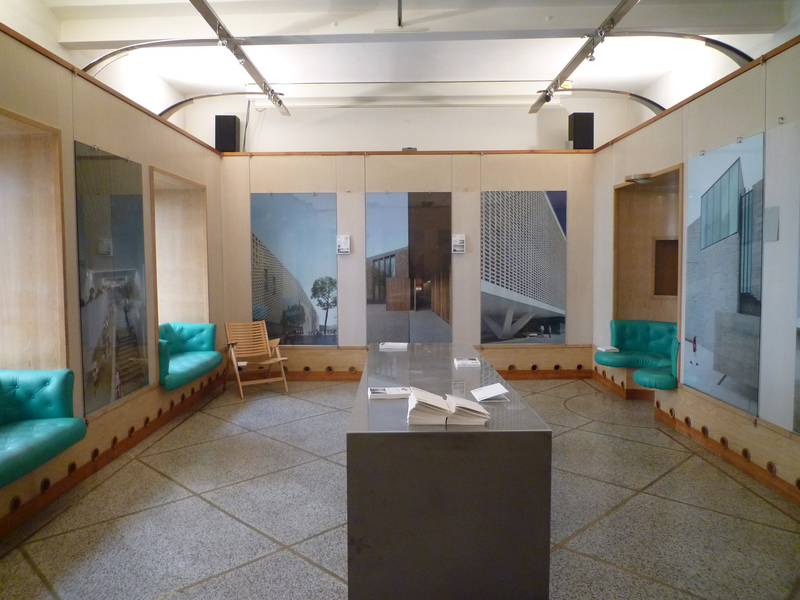 /// This review has been written by Matevž Čelik, director of The Museum of Architecture and Design in Ljubljana.